Tetradymite: Mineral information, data and localities. From Greek "tetra", four, and a contraction of "didymos", twin, alluding to its usual occurrence as fourling twins. Tetradymite Group. One of many Bi-Te-S phases known. Gold 18 photos of Tetradymite associated with Gold on mindat.org. Quartz 8 photos of Tetradymite associated with Quartz on mindat.org. Yecoraite 4 photos of Tetradymite associated with Yecoraite on mindat.org. Bismuthinite 4 photos of Tetradymite associated with Bismuthinite on mindat.org. Cosalite 3 photos of Tetradymite associated with Cosalite on mindat.org. Tellurobismuthite 2 photos of Tetradymite associated with Tellurobismuthite on mindat.org. Tsumoite 2 photos of Tetradymite associated with Tsumoite on mindat.org. Montanite 2 photos of Tetradymite associated with Montanite on mindat.org. Galena 1 photo of Tetradymite associated with Galena on mindat.org. Calcite 1 photo of Tetradymite associated with Calcite on mindat.org. Palache, Charles, Harry Berman & Clifford Frondel (1944), The System of Mineralogy of James Dwight Dana and Edward Salisbury Dana Yale University 1837-1892, Volume I: Elements, Sulfides, Sulfosalts, Oxides. John Wiley and Sons, Inc., New York. 7th edition, revised and enlarged, 834pp. : 161-164. Glatz, A.C. (1967): The Bi2Te3–Bi2S3 system and the synthesis of the mineral tetradymite. American Mineralogist, 52, 161–170. Zapiski Vserossiyskogo Mineralogicheskogo Obshchestva (1981): 110: 596. Cook, N.J., Ciobanu, C., Wagner, T., Stanley, C.J. (2007): Minerals of the system Bi-Te-Se-S related to the tetradymite archetype: Review of classification and compositional variation. Can. Mineral., 45, 665-708. The following Tetradymite specimens are currently listed for sale on minfind.com. Milka K. de Brodtkorb (2002) Las Especies Minerales de la Republica Argentina. Vol. 1 (elements, sulphides and sulphosalts). (Asociacion Mineralogica Argentina); DE BRODTKORB, Milka K. Precious metaltellurides and other Te-bearing minerals in different paragenesis of Argentina: A review. Rev. Asoc. Geol. Argent. [online]. 2009, vol.64, n.3, pp. 365-372.; Paar, W. H., Putz, H., Topa, D., de Brodtkorb, M. K., & Sureda, R. J. (2005, January). Occurrence and paragenesis of tellurium in mineral deposits of Argentina. In Mineral Deposit Research: Meeting the Global Challenge (pp. 1419-1422). Springer Berlin Heidelberg. ; Hubert, P., Werner, H., & Dan, T. (2009). 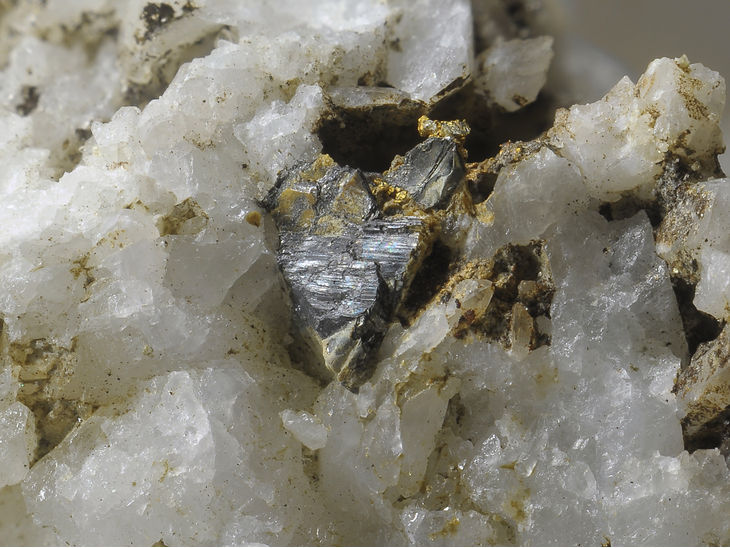 A contribution to the knowledge of the mineralization at Mina Capillitas, Catamarca. Revista de la Asociacion Geologica Argentina, 64(3), 514-524. Brodtkorb, "Las Especies Minerales de la Republica Argentina" (2002); DE BRODTKORB, Milka K. Precious metaltellurides and other Te-bearing minerals in different paragenesis of Argentina: A review. Rev. Asoc. Geol. Argent. [online]. 2009, vol.64, n.3, pp. 365-372.; Paar, W. H., Putz, H., Topa, D., de Brodtkorb, M. K., & Sureda, R. J. (2005, January). Occurrence and paragenesis of tellurium in mineral deposits of Argentina. In Mineral Deposit Research: Meeting the Global Challenge (pp. 1419-1422). Springer Berlin Heidelberg. Lawrence, L.J. , Ramsden, A.R. & Munro-Smith, V. (1998)- Maldonite and its paragenesis at Kingsgate, New South Wales. - Journal and Proceedings of the Royal Society of New South Wales, 131, 13-18. Palache, C., Berman, H., & Frondel, C. (1951) The System of Mineralogy of James Dwight Dana and Edward Salisbury Dana, Yale University 1837-1892, Volume II: 637. Palache, C., Berman, H. & Frondel, C. (1944), The System of Mineralogy of James Dwight Dana and Edward Salisbury Dana, Yale University 1837-1892, 7th. edition, Volume I: 163. Simpson, Edward S. (1952) Minerals of Western Australia Vol 3 (Facsimile ed. 1984). Hesperian Press, Carlisle, Western Australia p 663. Simpson, Edward S. (1952) Minerals of Western Australia Vol 3 (Facsimile ed. 1984). Hesperian Press, Carlisle, Western Australia. - Walter, F. (2018): Elektrum und Tetradymit auf Bergkristall, südwestlich der Duisburger Hütte, Wurten, Kärnten. In: Der Steirische Mineralog, Vol.33, p.65. Kofler, E. (2000): Lapis 25(4), 35.
ⓘ Siglitz adit (Imhof-Unterbau adit; Imhof adit) ? Gerhard Feitzinger & Albert Strasser (1995): Au-Ag-Pb-Bi-Te-Vererzung vom Rojacherbau am Sonnblick. Mineralogisches Archiv Salzburg, 5, 100-101. Samuel G. Gordon (1946) Supposed Troilite from Llallagua, Bolivia, is Probably Tetradymite. American Mineralogist, 31, 325. Tsonev, D., Popov, K., Kanazirski, M., Strashimirov, S. 2000. Radka ore field. In: Strashimirov, S., Popov, P. (Eds. ), Geology and Metallogeny of the Panagyurishte Ore Region (Srednogorie Zone, Bulgaria). ABCD-GEODE 2000 Workshop, Guide to excursions (A and C), 32-39.; K. Kouzmanov, K. Bogdanov, C. Ramboz (2005): Te- and Bi-bearing assemblages in the Elshitsa and Radka epithermal deposits, Central Srednogorie, Bulgaria: Mineralogy and genetical features. Geochemistry, Mineralogy and Petrology, 43, 108-112.; Kouzmanov, K. (2004). Galena-bearing myrmekitic intergrowths from the Radka deposit, Bulgaria: Origin and mechanisms of formation. Geochemistry, Mineralogy and Petrology, 41, 17-30.; Cook, N. J., Ciobanu, C. L., & Bogdanov, K. (2002) Trace mineralogy of the Upper Cretaceous banatitic Magmatic and metallogenetic Belt, SE Europe. In 11th Quadrennial IAGOD symposium–Geocongress 2002, Windhoek, Namibia, July 2002. CD Volume of extended abstracts. K. Bogdanov, A. Filipov, R. Kehayov (2005): Au-Ag-Te-Se minerals in the Elatsite porphyry-copper deposit, Bulgaria. Geochemistry, Mineralogy and Petrology, 43, 13-19. SABINA, A.P. (1974): Rocks & minerals for the collector: Kirkland Lake – Noranda – Val d’Or, Ontario and Quebec. Geological Survey of Canada Miscellaneous Report 77, 200-201. Sabina, A.P. (2003): Rocks & Minerals for the collector; Kirkland Lake - Rouyn-Noranda - Val d'Or, Ontario & Quebec. GSC Misc. Report 77, 188p. Sabina, A.P. (2003) Rocks & Minerals for the collector; Kirkland Lake - Rouyn-Noranda - Val d'Or, Ontario & Quebec. GSC Misc. Report 77, 189-190 p.
Sabina, A.P. (2003) Rocks & Minerals for the collector; Kirkland Lake - Rouyn-Noranda - Val d'Or, Ontario & Quebec. GSC Misc. Report 77, 191-192 p.
Sabina, A.P. (2003) Rocks & Minerals for the collector; Kirkland Lake - Rouyn-Noranda - Val d'Or, Ontario & Quebec. GSC Misc. Report 77, 161 p.
SABINA, A.P. (1974): Rocks & minerals for the collector: Kirkland Lake – Noranda – Val d’Or, Ontario and Quebec. Geological Survey of Canada Miscellaneous Report 77, 209.
ⓘ Mangchang ore field ? Jingwen Mao, Goldfarb, R.J., Zhengwei Zhang, Wenyi Xu, Yumin Qu, and Jun Deng (2002): Mineralium Deposita 37, 306-325. Minyun Sun, Gongliang Hun, Siwei He, and Zhongqi Huang (1985): Acta Mineralogica Sinica 5(1), 76-79; Siwei He and Minyun Sun (1986): Geology and Prospecting 22(3), 28-35; Liu, J. (2017). Indium mineralization in a Sn-poor skarn deposit: A case study of the Qibaoshan deposit, South China. Minerals, 7(5), 76. Zhou, H., Sun, X., Yang, T., Ren, Y., Zhu, K., Yu, H., & Lai, C. K. (2018). Mineralogy of Bi-sulfosalts and tellurides from the Yaoan gold deposit, southwest China and its metallogenic implications. Ore Geology Reviews. Pauliš, P., Jebavá, I. & Vlk, J. (2012). Bull. mineral.-petrolog. Odd. Nár. Muz. (Praha) 20 ( 1), 101-105. Šrein, V., Pivec, E., Langrová, A..: Petrologie a mineralogie zlatonosného ložiska Libčice u Nového Knína. Bulletin mineralogicko-petrografického oddělení Národního muzea v Praze, 1995, roč. 3, s. 188-195.; Jiri Sejkora (2009) Journal of Geosciences, 54, #1, 73-82.; Sejkora, J., Litochleb, J., Plasil, J., & Bures, B. (2009). Tsumoite and associated tellurides from the Au deposit Libcice near Novy Knin, Czech Republic: mineralogy and genetic significance. Journal of Geosciences, 54(1), 73-82. Fojt, B., Hauk, J., Kotrba, Z.: Mineralogie zlata a doprovodných minerálů ze Zlatého chlumu u Jeseníku. Věstník ÚÚG, 1988, 63, 2.; Kruťa, T.: O mineralogických poměrech ve městě Jeseníku ve Slezsku a o dolování na Zlatém Chlumu a v okolí. Časopis Moravského musea v Brně, Vědy přírodní, 1959, roč. 44, s. 5-39. Zachariáš, J., Pudilová, M., Žák, K., Morávek, P., Litochleb, J., Váňa, T., Pertold, Z. (1997) P-T conditions, fluid inclusions and O, C, S isotope characteristics of gold-bearing mineralizations within the Central Bohemian Metallogenic Zone. - Acta Univ. Carolinae – Geologica, 41 (3-4), pp. 167–178. ; Litochleb, J.: Mineralogie zlatonosného zrudnění z dolu Jakub u Kasejovic (jz. Čechy). Bulletin mineralogicko-petrografického oddělení Národního muzea v Praze, 1998, roč. 6, s. 102-112. Changkakoti, A., Gray, J., Morton, R. D., & Sarkar, S. N. (1987). The Mosaboni copper deposit, India; a preliminary study on the nature and genesis of the ore-fluids. Economic Geology, 82(6), 1619-1625. Kazuo Hiramatsu collection. ; Shimada, N., Miyahisa, M., & Hirowatari, F. (1981). Melonite and volynskite from the Yokozuru mine, Sannotake, North Kyushu, Japan. Mineralogical Journal, 10(6), 269-278. Soeda, A., & Hirowatari, F. (1978). 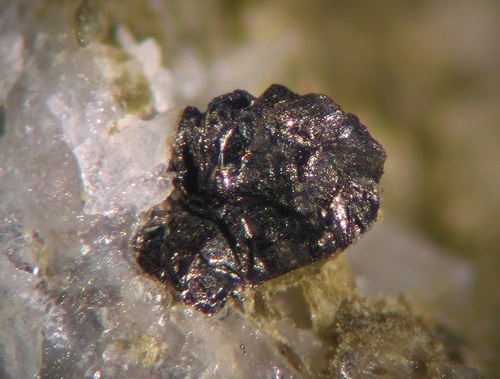 Arsenian hauchecornite from the Tsumo mine, Shimane Prefecture, Japan. Mineralogical Journal, 9(4), 199-209. Baibatsha, A., Dyussembayeva, K., & Kassenova, A. (2015). Microparagenetic Associations of Gold in Ore-Forming Minerals from Deposits of Different Geological and Industrial Types of Kazakhstan. In Proceedings of the 11th International Congress for Applied Mineralogy (ICAM) (pp. 1-8). Springer International Publishing. ; Litvinovich, A. N. & Loginova, M. D. (1960): Elements in small amounts in ores of the Leninogorsk mining field. Trudy Altaisk. Gorno-Met. Nauch.-Issledovatel. Inst., Akad. Nauk Kazakh. S.S.R. (1960), 9, 92-103.; Baibatsha, A., Dyussembayeva, K., & Kassenova, A. (2015). Microparagenetic Associations of Gold in Ore-Forming Minerals from Deposits of Different Geological and Industrial Types of Kazakhstan. In Proceedings of the 11th International Congress for Applied Mineralogy (ICAM) (pp. 1-8). Springer, Cham. Li, B., Jiang, S. Y., Zou, H. Y., Yang, M., & Lai, J. Q. (2015). Geology and fluid characteristics of the Ulu Sokor gold deposit, Kelantan, Malaysia: Implications for ore genesis and classification of the deposit. Ore Geology Reviews, 64, 400-424. Kouzmanov, K., I. K. Bonev, R. D. Vassileva (2009): Moraine-hosted Cu-Bi-mineralization from the Modi-Khola valley, southwestern flank of Annapurna-III, central Himalaya. Geochem., Mineral. and Petrol., 47, 11-30. Imai, A., & Anan, S. (2000). Sulfur isotope study and re‐examination of ore mineral assemblage of the Hol Kol and the Tul Mi Chung skarn‐type copper–gold deposits of the Suan mining district, Korean Peninsula. Resource Geology, 50(4), 213-228. Neumann, H. (1985): Norges Mineraler. Norges geologiske Undersøkelse Skrifter 68, 278 pp (p. 34). Amaliksen (1980) Gullforekomster på Bømlo. Undersøkelse av Statens bergrettigheter 1980. NGU Rapport 1750/35A. [MinRec 27:304]; Cook, N. J., Ciobanu, C. L., & Bogdanov, K. (2002) Trace mineralogy of the Upper Cretaceous banatitic Magmatic and metallogenetic Belt, SE Europe. In 11th Quadrennial IAGOD symposium–Geocongress 2002, Windhoek, Namibia, July 2002. CD Volume of extended abstracts. www.minerals-of-the-carpathians,2009; Cook, N. J., Ciobanu, C. L., & Bogdanov, K. (2002) Trace mineralogy of the Upper Cretaceous banatitic Magmatic and metallogenetic Belt, SE Europe. In 11th Quadrennial IAGOD symposium–Geocongress 2002, Windhoek, Namibia, July 2002. CD Volume of extended abstracts. Anthony, Bideaux, Bladh, Nichols: "Handbook of Mineralogy", Vol. 1, 1990; Cook, N. J., & Ciobanu, C. L. (2003). Cervelleite, Ag4TeS, from three localities in Romania, substitution of Cu, and the occurrence of the associated phase, Ag2Cu2TeS. Neues Jahrbuch für Mineralogie-Monatshefte, 2003(7), 321-336. Simon, G., Alderton, D. H. M., Stumpfl, E. F., & Bleser, T. (1995). Tellurantimony in Romania: first occurrences in Europe. Mineralogy and Petrology, 53(1-3), 115-124. Jude Radu (2012) An Overview of the Oaş And Gutâi Neogene Metallogenetic Districts. Romanian Journal of Earth Sciences; Plotinskaya, O. Y., Damian, F., Prokofiev, V. Y., Kovalenker, V. A., & Damian, G. (2009). Tellurides occurrences in the Baia Mare region, Romania. Carpathian Journal of Earth and Environmental Sciences, 4(2), 89-100. Bindi, L., & Cipriani, C. (2003). Plumbian baksanite from the Tyrnyauz W–Mo deposit, Baksan River valley, northern Caucasus, Russian Federation. The Canadian Mineralogist, 41(6), 1475-1479.; Parada, S. G., & Stolyarov, V. V. (2012, August). Relation of gold mineralization on the northern flank of the Tyrnyauz deposit to intrusive complexes, Kabardino-Balkar Republic. In Doklady Earth Sciences (Vol. 445, No. 2, pp. 939-942). MAIK Nauka/Interperiodica. Gvozdev, V. I., & Tsepin, A. I. (2005). 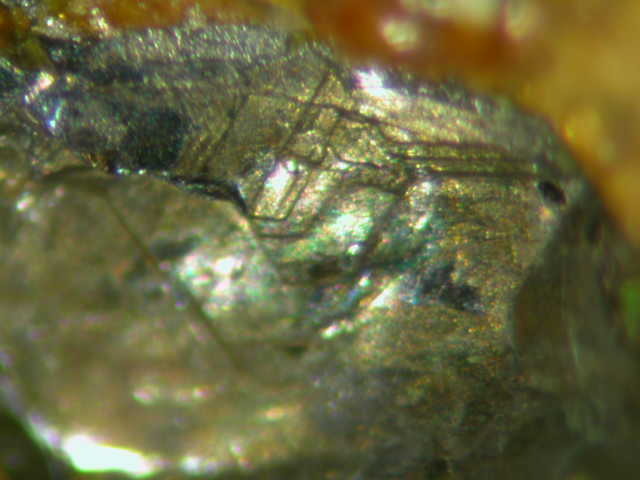 Bismuth Mineralization in the Ores of the Vostok-2 Deposit (Primor'e Region, Russia). Geology of Ore Deposits, 47(2), 132-145. Yarosh, H.A. [Ярош, Н.А.] (1955): Mineralogy of the oxidation zone of the Blagodatnoe deposit in the Middle Urals [К минералогии зоны окисления Благодатного месторождения на Среднем Урале]. Trudy Gorno-geologicheskogo instituta UFAN SSSR [Труды Горно-геологического института УФАН СССР], 26, 50-67 (in Russian). Haidinger W., 1831: Über da Tellur-Wismuth von Schemnitz. Ann. Phys. Chem., 21, 595–600. Sejkora J., Litochleb J., Černý P., Ozdín D., 2006: Bi-Te minerálna asociácia zo Župkova (Vtáčnik, Slovenská republika). Mineralia Slovaca, 36, 3-4, 303-315. Haidinger W. (1831) Über da Tellur-Wismuth von Schemnitz. Ann. Phys. Chem. 21: 595-600. Cook, N. J.,Ciobanu, C.L.& Danushevskiy, L, (2007): LA-ICP-MS determination of gold in Bi-chalcogenides from four deposits in the Fennoscandian Shield. Geological Survey of Finland, Guide 53, 23-30; Scherbina, A. S. (1941): The gold-rich chalcocite-bornite deposit of Glava in Vermland, Sweden, and its geological setting. Neues Jahrb. Mineral., Geol., Beilage-Band, 76A, 377-458. Stalder, H. A., Wagner, A., Graeser, S. and Stuker, P. (1998): "Mineralienlexikon der Schweiz", Wepf (Basel), p. 401. Rustam Koneev, Evgeniy Ignatikov, Arpay Turesebekov, Umid Aripov, Rustam Khalmatov, Obidjon Kodirov, Miraziz Usmanov (2005) Gold ore deposits of Uzbekistan: Geochemistry and nanomineralogy of tellurium and selenium. IGCP Project 486, 2005 Field Workshop, Kiten, Bulgaria, 14-19 September 2005; Evseev, A. A. (1995) Kazaknstan and Middle Asia. A brief Mineralogical Guide. World of Stone 8:24-30; Plotinskaya, O. Y., Kovalenker, V. A., Seltmann, R., & Stanley, C. J. (2006). Te and Se mineralogy of the high-sulfidation Kochbulak and Kairagach epithermal gold telluride deposits (Kurama Ridge, Middle Tien Shan, Uzbekistan). Mineralogy and Petrology, 87(3-4), 187-207.; Kovalenker, V. A., Safonov, Y. G., Naumov, V. B., & Rusinov, V. L. (1997). The Epithermal Gold-Telluride Kochbulak Deposit. Geology of Ore Deposits C/C of Geologiia Rudnykh Mestorozhdenii, 39, 107-128. A. Willgallis et al. : "Se- and Te-bearing sulphides in copper ore deposits of Murgul, NE Turkey", Eur. J. Mineral., 1990, 2, pp. 145-148. Greg, R.P. and Lettsom, W.G. (1858) Manual of the mineralogy of Great Britain and Ireland. John Van Voorst, London, ix, 483 pp. [facsimile reprint, with addenda, by Lapidary Publications, Broadstairs, 1977]. ; Hall, T.M. (1868) The Mineralogist's Directory: or a guide to the principal mineral localities in the United Kingdom and Ireland. Edward Stanford (London), 168 pp. ; Goodchild, J.G. (1882) Contributions towards a list of minerals occurring in Cumberland and Westmorland [part 1]. Transactions of the Cumberland Association for the Advancement of Literature and Science, 7 (for 1881-1882), 101-126.; Day, F.H. (1928) Some notes on the minerals of the Caldbeck Fells. Transactions of the Carlisle Natural History Society, 4, 66-79.; Clarke, G.M. (1974) The mineralogy and geochemistry of tellurium with special reference to the bismuth sulphotellurides. Unpublished MSc thesis, University College, Cardiff. ; Cooper, M.P. and Stanley, C.J. (1990) Minerals of the English Lake District: Caldbeck Fells. Natural History Museum Publications, London, 160 pp. Smyth, W. (1866) Mining and Smelting Magazine, 1866, vol. 1, 359.; Henwood, W.J. (1871) Transactions of the Royal Geological Society of Cornwall 8(1), 635-642.; Phillips and Louis (1896) A treatise on ore-deposits, 293.; Rudler (1905) Minerals of the British Islands, &c., 130 and 154/5. ; Maclaren (1908) Gold; its geological occurrence and geographical distribution, 129.; Andrew (1910) The Dolgelly gold-belt, Geol. Mag., p. 210.; Dana, E.S. and Ford, W.E. (1932) A Textbook of Mineralogy, 4th Edition, 412.; Kingsbury, A.W.G. (1965) Tellurbismuth and meneghinite, two minerals new to Britain. Mineralogical Magazine, vol. 35, n° 270, 424-426.; Bevins, R.E. (1988) Sixth Supplementary List of British Isles Minerals (Welsh). Mineralogical Magazine, vol. 52, n° 364, 121-124.; Cook, N.J., Ciobanu, C.L., Stanley, C.J., Paar, W.H., and Sundblad, K. (2007) Canadian Mineralogist 45(3), 417-435.; University Museum Mineral Collection, Oxford (former collection of Dr. Hugo Müller). Keith, Stanton B. (1973), Arizona Bureau of Geology & Mineral Technology, Geol. Sur. Branch Bull. 187, Index of Mining Properties in Cochise Co., AZ: 60 (Table 4); Cooper & Silver (1964): 188-189. Anthony, J.W., et al (1995), Mineralogy of Arizona, 3rd.ed. : 392; Cooper, J.R. & L.T. Silver (1964), Geology and ore deposits of the Dragoon quadrangle, Cochise Co., AZ, USGS PP 416. Anthony, J.W., et al (1995), Mineralogy of Arizona, 3rd.ed. : 392. Galbraith, F.W. (1947), AZ Bur. of Mines Bull. 153, Minerals of AZ: 14. Anthony, J.W., et al (1995), Mineralogy of Arizona, 3rd. ed. : 392; Genth (1890); Univ. of AZ Bull. 41 (1916-17), Mineralogy of Useful Minerals in AZ: 57; Galbraith, F.W. (1947), Minerals of AZ, AZ Bur. of Mines Bull. 153: 14. Anthony, J.W., et al (1995), Mineralogy of Arizona, 3rd.ed. : 392; Guild, F.N. (1910), The mineralogy of Arizona, The Chemical Publishing Co., Easton, PA; Univ. AZ Bull. 41 (1916-17), Mineralogy of Useful Minerals in Arizona: 57; Galbraith, F.W. (1947), Minerals of AZ, AZ Bur. Mines Bull. 153: 14; Dana 7:I:163; Moore, R.T. (1953), Minerals and Metals of Increasing Interest, Rare and Radioactive Minerals, AZ Bur. Mines Bull. 163: 19. Univ. AZ Bull. 41 (1916-17), Mineralogy of Useful Minerals in AZ: 57; Galbraith, F.W. (1947), Minerals of AZ, AZ Bur. Mines Bull. 153: 14. Hanks, Henry Garber (1884), Fourth report of the State Mineralogist: California Mining Bureau. Report 4, 410 pp. : 384, 388; Murdoch, Joseph & Robert W. Webb (1966), Minerals of California, Centennial Volume (1866-1966): California Division Mines & Geology Bulletin 189: 362; Pemberton, H. Earl (1983), Minerals of California; Van Nostrand Reinholt Press: 125; Dana 7: I: 163. Czamanske, G.K. & W.E. Hall (1975), The Ag-Bi-Pb-Sb-S-Se-Te mineralogy of the Darwin lead-silver-zinc deposit, southern California: Economic Geology: 70: 1102; Pemberton, H. Earl (1983), Minerals of California; Van Nostrand Reinholt Press: 125; www.mineralsocal.org. Gail E. Dunning, Yves MoÎlo, and Joseph F. Cooper, Jr. (2000) Ag-Cu-Pb-Bi Sulfosalts New to Darwin, Inyo County, California; Cooper; Fen and Dunning, Gail (2003) : Occasional Publication of the Bay Area Mineralogists, February, 2003. Webb, R.W. (1935), Tetradymite from Inyo Mountains, California: American Mineralogist: 20: 399-400; Murdoch, Joseph & Robert W. Webb (1966), Minerals of California, Centennial Volume (1866-1966): California Division Mines & Geology Bulletin 189: 49-50; Pemberton, H. Earl (1983), Minerals of California; Van Nostrand Reinholt Press: 107, 125, 234. Adams, P.M. (2016): Sulfide, selenium and rare earth mineralization in the Sulfate Stope, Santa Rosa Mine, Inyo County, California. 2016 Desert Symposium Field Guide and Proceedings, California State University, Desert Studies Consortium, 244-252. Hanks, Henry Garber (1884), Fourth report of the State Mineralogist: California Mining Bureau. Report 4, 410 pp. : 388; Murdoch, Joseph & Robert W. Webb (1966), Minerals of California, Centennial Volume (1866-1966): California Division Mines & Geology Bulletin 189: 362; Pemberton, H. Earl (1983), Minerals of California; Van Nostrand Reinholt Press: 125. Averill, Charles V. (1931), Preliminary report on economic geology of the Shasta quadrangle: California Division Mines Report 27: 49; Murdoch, Joseph & Robert W. Webb (1966), Minerals of California, Centennial Volume (1866-1966): California Division Mines & Geology Bulletin 189: 270, 357, 362.; Pemberton, H. Earl (1983), Minerals of California; Van Nostrand Reinholt Press: 81. Genth F A (1868) Contributions to mineralogy - No. VII, The American Journal of Science and Arts, 95, 305-321; Sharwood, William J. (1911), Notes on tellurium-bearing gold ores: Economic Geology: 6: 28; Murdoch, Joseph & Robert W. Webb (1966), Minerals of California, Centennial Volume (1866-1966): California Division Mines & Geology Bulletin 189: 362; Pemberton, H. Earl (1983), Minerals of California; Van Nostrand Reinholt Press: 125. Sharwood, William J. (1911), Notes on tellurium-bearing gold ores: Economic Geology: 6: 286; Pemberton, H. Earl (1983), Minerals of California; Van Nostrand Reinholt Press: 125.
ⓘ Little Johnny Mine (Emancipation group; Home Sweet Home occurrence) ? ⓘ Boly Field Mine (Field's Mine; Field's vein) ? Cook,R.B,1978,Minerals of Georgia:Their properties and occurrences:Georgia Geological and Water Resources Bulletin 92,189 pg. NBMG Spec Pub 31 Minerals of Nevada. American Mineralogist (1937) 22: 1065-1069. Oregon Metal Mines Handbook, 1943, Oregon Department of Geology and Mineral Industries: Bulletin No. 14-C, Vol. 2, Section 2 - Jackson Co., page 79. Lieber,O.M,1858,Report on the survey of South Carolina,Second Annual Report to the general assembly of South Carolina:Columbia,SC.,R.WGibbes,State Printer,145 pgs. South Dakota SMT Bull 18 Roberts and Rapp "Mineralogy of the Black Hills"
UGMS Bull 117 Minerals and Mineral Localities of Utah; Stanley C J, Roberts A C, Harris D C, Criddle A J, Szymanski J T (1992) Cannonite, Bi2O(OH)2SO4, a new mineral from Marysvale, Utah, USA. Mineralogical Magazine 56, 605-609. Rocks & Min. : 60:167; Dana 6:18, 1072.